I'm still working on pieces and parts for Coastal Lily, which doesn't make for very interesting blogging pictures. 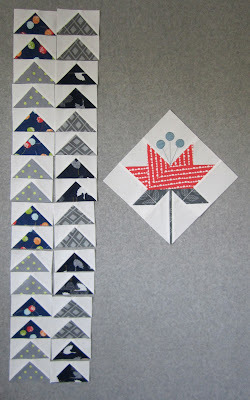 I am mixing up the piecing of the petal blocks with the geese blocks so at least I have some sort of a progress picture. I can't make any bloom blocks until I get my berries done. And even though I have some berries done, I don't want to be switching out presser feet and thread any more than I have to, so I won't be making that corner berry block until all the berries are done. And even then I still need to add the berry stems, which is a different presser foot altogether and different thread. Trust me when I tell you it's coming together nicely, I'm enjoying any time I spend in my sewing room, and I'll have more colorful and exciting pictures coming soon. Since you were nice enough to stop by today, I thought the least I could do was share a few more pictures of something quilting related to make it worth your while. Making those berry circles reminded me of this quilt that was in the Infinite Variety Red and White Quilt Show. 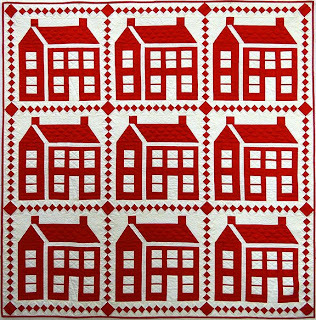 This was my favorite quilt and I regret that I wasn't able to work in a few of these circle blocks in my Red and White Tribute Quilt. I may have to just make a few red circles once I'm done with my blue ones. 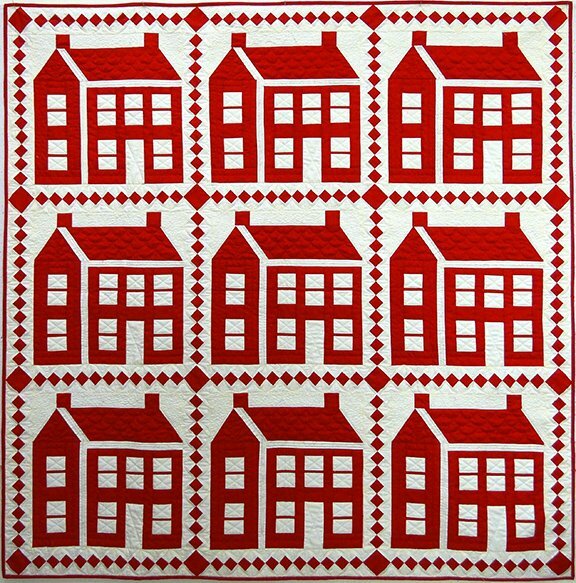 And speaking of red and white quilts, Thimble Creek Quilt Shop had some beautiful red and white quilts at Spring Market this year, I thought I would share them with you just in case you missed them. This beauty is called Red Prelude. And this one, my favorite, is called Red Letter Day. I stopped in the Thimble Creek booth at the Road to California Quilt Show and visited with Joe and Roxie Wood. The booth was packed with quilters but they were both as friendly and welcoming to me as they could be. Here's a link to their online shop if you're interested in adding these patterns to your collection. (click here) This is not a paid advertisement for Thimble Creek Quilt Shop, I just liked their patterns and thought maybe you would too! Yes, there is progress there and know that those geese take a bit of time too! 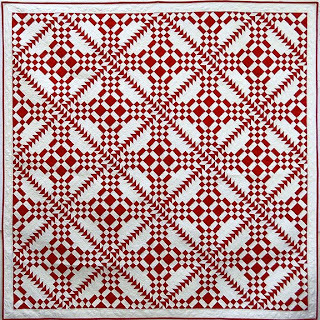 Love the "red and white" quilt show today and would be hard to choose just one. Waiting for the new lines of fabric as I saw one I want to buy. I know, sometimes you have lots of progress on a quilt without having anything interesting to show for it. By the way, I like the pattern you showed called Red Prelude; it is going on my list. Whether you think your post is interesting or not, I love reading ALL of your posts! And do I love Red Prelude! My Stars for a New Day is now bound and finished...yay! I love those flying geese and the new patterns are gorgeous! 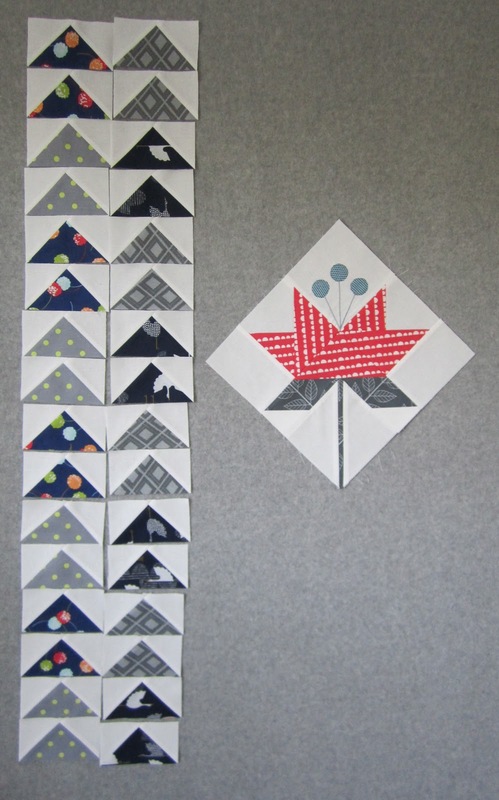 I love that red & white circles quilt! 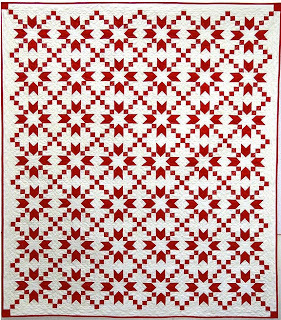 I am making a red and white pinwheels quilt - just a nice simple project on the side - I loved all your photos of the fabulous red & white exhibition and I think some of it must have stuck in my subconscious! You are making great progress ! I know those little berries are time consuming but once you get those done things should all come together quickly ! I am very familiar with Thimble Creek quilt shop. They are only a couple of hours from me :-D Great owners & great shop ! You know Thelma, I really didn't expect to like this quilt, but I am really loving your progress so far. It has a fresh modern look to it. Great choice! Looking forward to your updates on this one. I'm fortunate enough to live fairly close to Thimblecreek and actually watched Roxie piece "Red Letter Day" while on a retreat with the shop in February. Talk about precise! She and Joe are the best of the best. I've been asked to teach and lecture at their shop this summer and am so flattered. 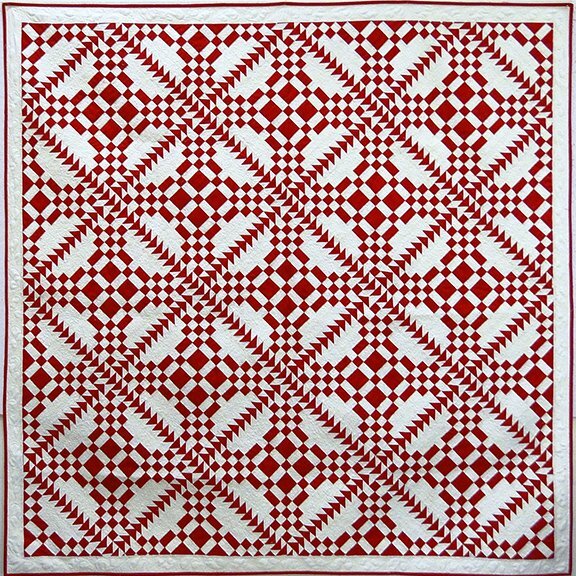 Wow, such pretty red and white quilts!! Loving this quilt! The berries I know have got to be time consuming but will be so worth it. 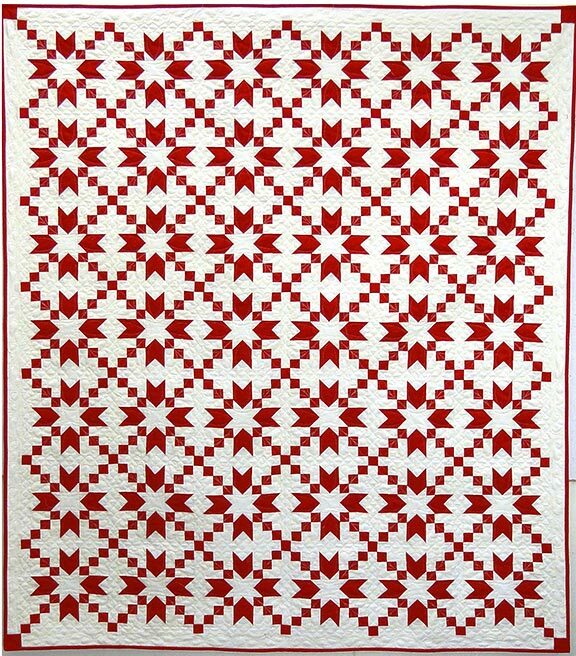 Love all the red and white quilts. I can only say ... YUM! I'll try and remember what I said as my silly puter poofed my comment!! argh!!! I know I was thinking how a gal could go broke coming to this site, as I want everything you make!!! Of course, I could save $$ by only buying red and white - sounds like a good plan to me. Your little flying geese are looking so cute lined up like little ducks in a row *wink!! 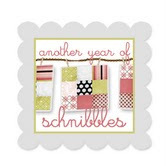 I was also wondering if you are going to make the berry blocks slightly larger and then square them up after sewing? 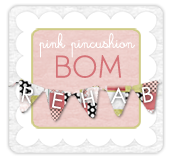 Are you using blind hem stitch? I better go see about getting that pattern before they are all gone!! Thanks for sharing - love seeing your work, girlfriend!! Love your quilts and also Joe and Roxie - they are awesome and so sweet!